The Lion's Mane mushroom, Hericium erinaceus, is a rare edible and medicinal mushroom that has been cultivated for use in Vietnam, China and Japan. While similar or related species of Lion's Mane can be found throughout North America, it is the Asian Lion's Mane species that is used for medicinal purposes. Recent medical research has confirmed the traditional usage of Lion's Mane in herbal medicine, showing that the mushroom can relieve damage of the nerves and nervous system. 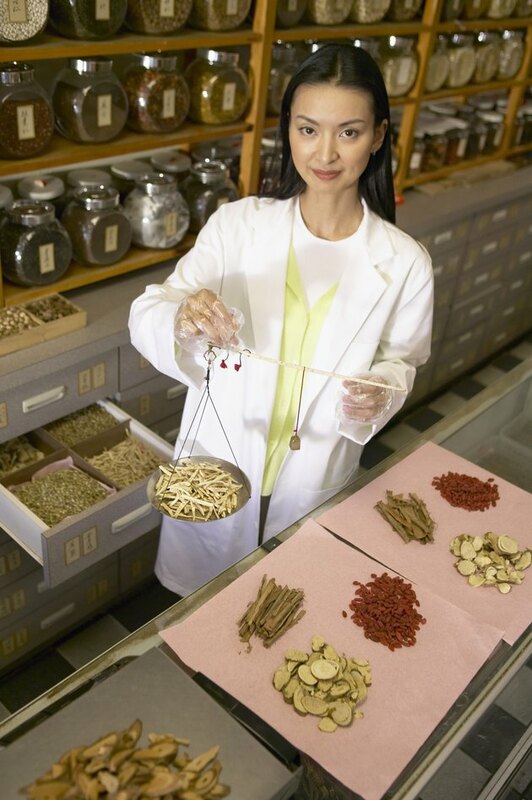 However, herbal Medicine is not intended to be a replacement for standard medical care, and you should consult with your doctor and a registered Chinese herbalist before purchasing Lion's Mane products. The use of Lion's Mane in treating nerve damage may be explained through studying its effects on Nerve Growth Factor, or NGF. In a study published in the "Biological and Pharmaceutical Bulletin" in 2008, researchers from Tohoku University in Japan investigated the stimulatory effects of different edible mushrooms on NGF. Out of the mushrooms studied, only Lion's Mane extract was found to have any effect on NGF. Researchers concluded that Lion's Mane likely stimulates the production of NGF indirectly, through affecting the production of enzymes that signal NGF to be released. While NGF itself cannot pass through the blood-brain barrier when injected into the body, compounds from Lion's Mane can pass the blood-brain barrier, and stimulate the production of NGF in the central nervous system. In a study published in "Phytotherapy Research" in 2009, researchers from the Mushroom Laboratory in Japan wanted to test the effects of Lion's Mane in human subjects with mild cognitive impairment. Lion's Mane significantly increased cognitive function during the study, and the effects of the mushroom lasted up to four weeks after cessation of its use. Researchers concluded that Lion's Mane was an effective complementary treatment for mild cognitive impairment, and should be used regularly for reliable and ongoing benefit. Lion's Mane may be a useful complementary treatment for conditions of the nervous system where myelin sheaths around the nerve cells have been damaged, such as in the disease multiple sclerosis. In a study published in "Fiziolochichnyi Zhurnel" in 2003, researchers from the National Academy of Sciences in Kiev tested extracts of Lion's Mane on tissues from the cerebellum in vitro. Lion's Mane showed no toxicity and had a beneficial effect on the growth of myelin, regulating and stimulating the myelination process at a significantly faster rate. While more clinical research is required to confirm these results in human subjects, Lion's Mane may play an important role in the future management of nervous system diseases such as multiple sclerosis. Lion's Mane is an edible mushroom that is considered safe and well-tolerated by the majority of the population. There are reports of people experiencing asthma and allergies in relation to taking Lion's Mane, so if you are prone to mushroom allergies, use Lion's Mane with caution. There is no research on the interaction of Lion's Mane with prescription medications, so check with your doctor before combining it with medications to make sure it is safe for you.